Dress for success! 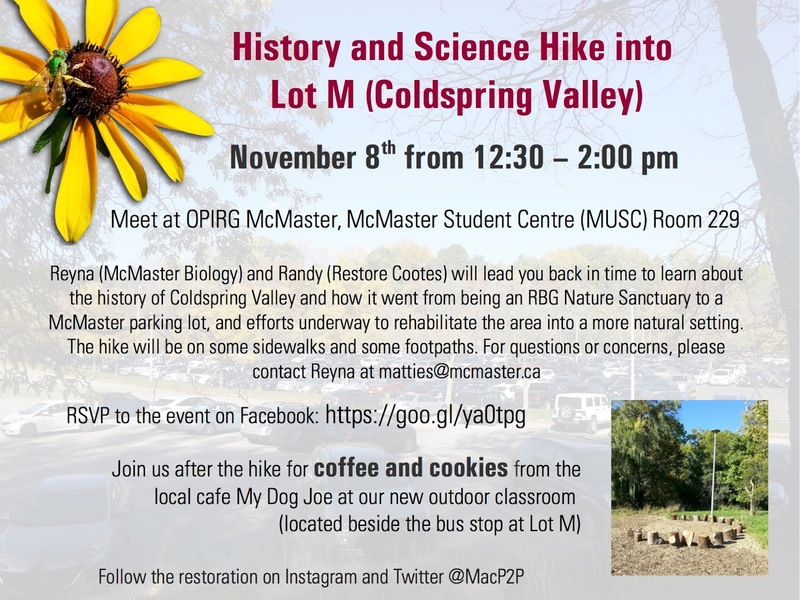 We will see ghost trails, pioneer cemeteries, lost ponds, and a whole lot of former parking now turned into a riparian zone beside Ancaster Creek. This event is free. Be ready to go at12:30pm at McMaster University Student centre room 229, Tuesday, November 8/16.